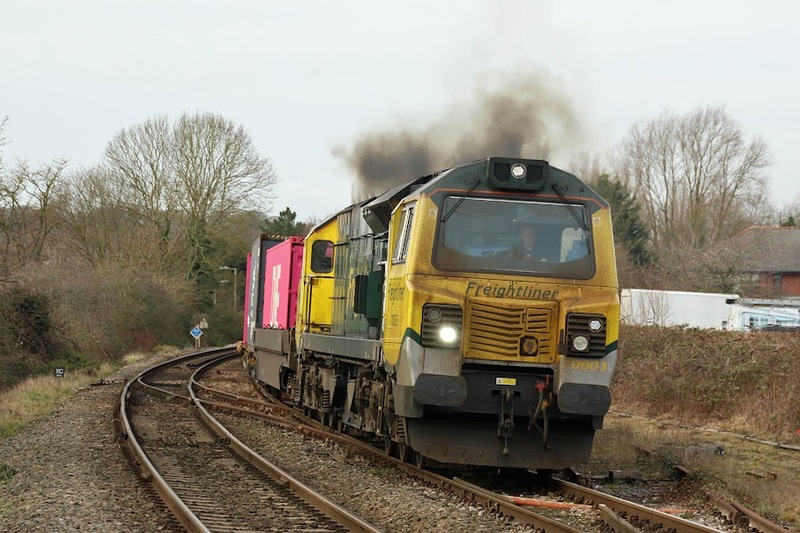 There have been extra workings via the Test Valley in the past week, while trackwork changes are under way in Southampton to accommodate 775m length trains. The three trains seen here all passed within a 20 minute period. 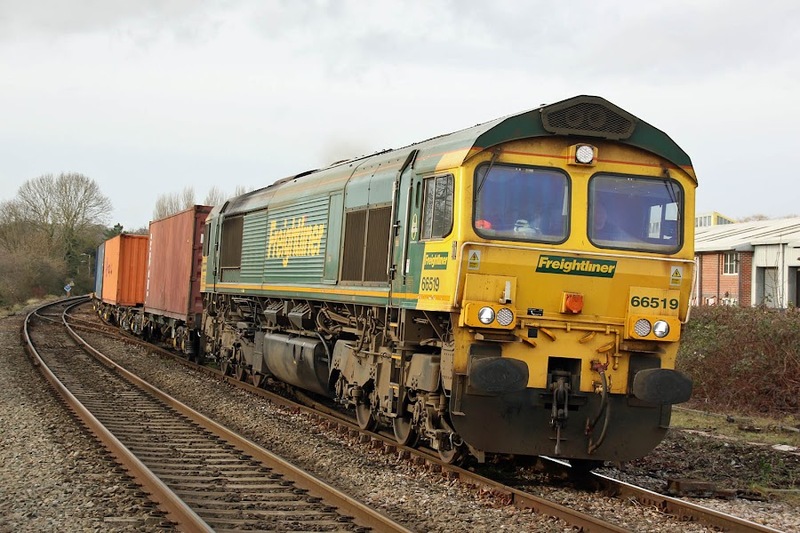 70003 4O90 05:45 Leeds - Southampton Maritime. Unusually. 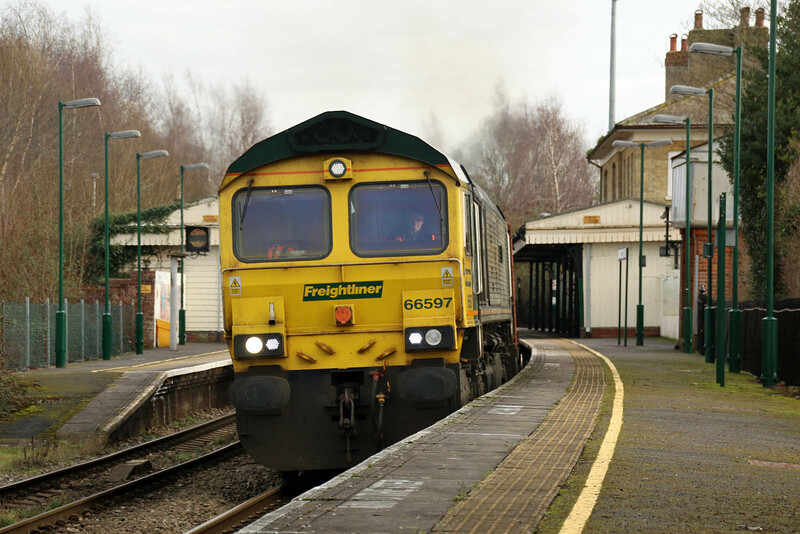 66546 was being dragged on the rear of the 4O90 - it went onto civil engineering workings from Eastleigh and in Devon. 66597 4M65 14:17 Maritime - Lawley Street, which is normally scheduled to run this route although some 30 minutes earlier. 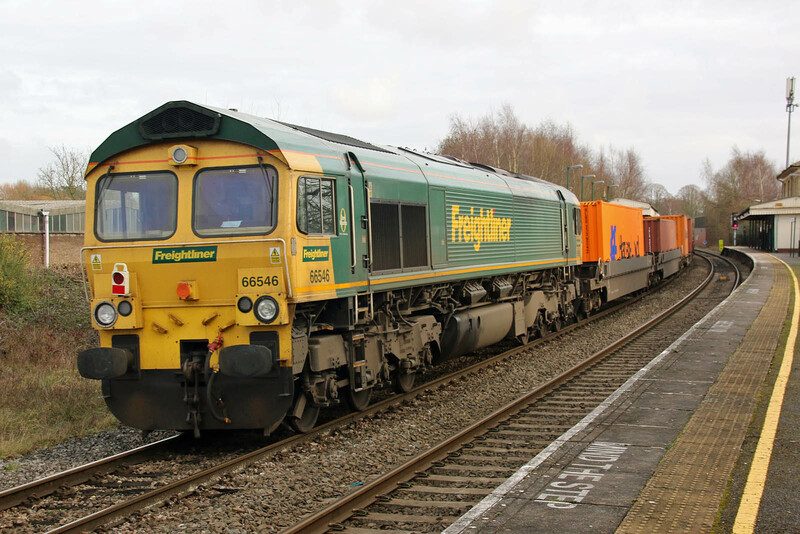 66519 4O49 09:22 Basford Hall - Maritime. By Thursday morning this was on civil engineering workings with 66546 (seen above).